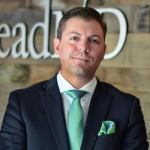 Renee Yeager, CEO of Yeager Marketing, has a sit-down with CEO of LeadMD – Justin Gray. They discuss marketing automation and analytics in companies. Watch the video, and find out the answers to the following questions and more. What is it like working in client departments? Is it dealing more with the day-to-day marketing automation folk or is it more at the strategy level of development? For analytical areas, do clients use the marketing automation platform or other software more often? Is there a difference between enterprise and smaller companies in terms of organizing analytics? How much of a factor is governance in success? Is the concept of ABM emerging more in conversation? Is there any correlation between analytic platforms and resulting success that is seen across the board?